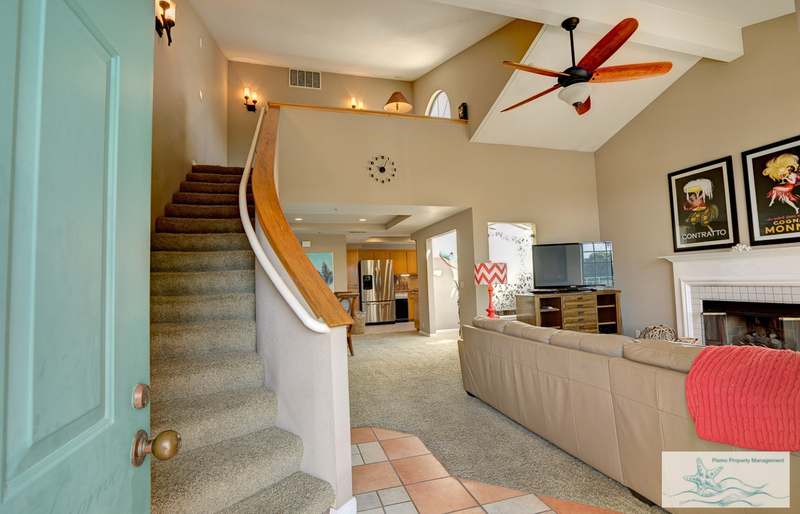 This spacious, beautifuly decorated, fully furnished 2 bedroom 2 bath condo has everything you need for your vacation. 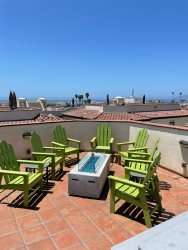 Located 2.5 blocks from the beach with a spacious open living area, fireplace and large flat screen TV, King beds in each room with TV's and small balconies, Large master bath with Jacuzzi tub, Double sinks and walk in shower. Kitchen is fully equipped and includes Keurig coffee maker, Dining table seats 6 comfortably, Washer & Dryer inside unit, Gated parking for two vehicles, Wifi & DirecTv, Walking distance to downtown Pismo, Pismo Outlets, Restaurants, Wine tasting, Shopping, Sand, Sun & Fun!! Washer, Dryer, Keurig coffee maker, Microwave oven, Stove, Oven, Ice maker in fridge, Dishwasher, Garbage compactor, Bakeware, Electric griddle, Blender, Linens, Towels, paper supplies, Pots, Pans, Fire place, TV's in bedrooms and living room, Wifi, DirecTv.